Circus Skills Workshops in Liverpool, Days with our Circus Tents and lots more. 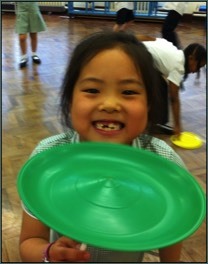 Windsor Community Primary, Toxteth, Liverpool - Circus Skills Workshops. Countess of Chester Health Park, Cycle races - Big Top Days. St Georges Church, Liverpool - Circus Entertainment. Mab Lane Community Woodland, Liverpool - Big Top Days. Merchant Taylor's Junior School, Crosby, Liverpool - Big Top. Broadgreen Primary School, Old Swan, Liverpool - Workshops. Gwladys Street School, Liverpool - Circus Skills Workshops. Granby Children’s Centre, Liverpool - Big Top Days. Park Brow School, Liverpool - Circus Skills Workshops. 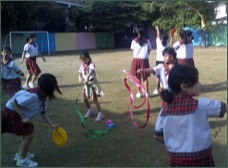 St Silas School,, Toxteth, Liverpool - Circus Skills. Millbrook Community Primary School, Liverpool - Big Top Day. Camp and Furnace, Liverpool - Circus Entertainment. St Aidan's Primary School, Huyton, Liverpool - Circus Skills. Five Children’s Centre, Speke, Merseyside - Circus Skills. St George’s, Fazakerley - Circus Skills Workshops. Maghull High School, Liverpool - Circus Skills Workshops. Hope School Liverpool, Merseyside - Circus Workshops. Broughton Hall High School, West Derby, Merseyside - Circus Skills. Hope University, Liverpool - Circus Entertainments. 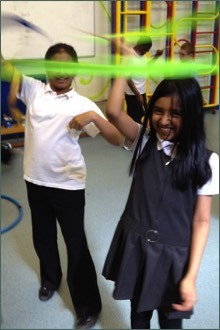 Smithdown Primary School, Liverpool - Circus Skills Workshops. St Paul’s Junior School, Liverpool - Circus Skills Workshops. St Oswalds Infant school, Old Swan, Liverpool - Circus Skills. Florence Melly Community Primary, Liverpool - Big Top Days. Blackmoor Park Junior School, Liverpool - Circus Skills Workshops. Windsor Community Primary, Toxteth, Liverpool - Circus Workshops. Ilchester Park, Birkenhead - Big Top Days. University Academy Birkenhead - Circus Skills Workshops. Birkenhead School, Oxton - Big Top days. Barnstondale Activity Centre, Birkenhead - Circus Workshops. St. Joseph's School, Upton, Wirral - Circus Workshops. Ring O Bells, Wirral - Big Top days. Our Lady of Pity RC Primary, Greasby, Wirral - Big Top Days. Circus Sensible have worked in Schools in Liverpool and all over the UK, as well as community groups, charities and festivals for over 25 years, during which time we have been lucky enough to develop close working relationships with some of the very best tutors and performers in the industry. As a result we have a highly experienced team, who bring a wealth of cultural, performance and social experience to every aspect of engaging with young people, and teaching them core skills in a safe and encouraging, and above all, fun environment. We can teach not just Circus skills, but we also run Percussion workshops, Dance workshops, Arts and Caricature workshops and lots more Schools workshops in a variety of skills. All our workshops and Activity Days are available in Liverpool and all over the UK. Above are just a few examples of venues and events in Liverpool and the rest of the UK from the last year. We have run Circus skills workshops in well over two thousand Schools over the years, in Liverpool and the UK, Ireland and abroad, and days with our Big Tops at almost as many. Our Circus tents are also available for hire, and we can provide many other types of workshops for schools including Drum workshops, Dance workshops and Art workshops. If you need more information about our Circus workshops for schools in Liverpool or any other aspect of our schools workshops, please contact us. Circus Skills workshops in Schools are suitable for Nursery, Primary, Secondary Schools and Colleges and can be integrated into many areas of the School curriculum. All our staff are very experienced, have a wide range of Circus and performance skills and have CRB certificates. We have full Public Liability Insurance and can supply Risk Assessments on request. Circus Sensible also run many other workshops in Liverpool schools, such as Percussion workshops, African Dance workshops, Caricature workshops and Magic workshops. For details of all our Schools workshops in Liverpool and the UK please explore our website or send us a message. 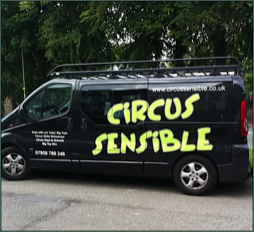 Circus Sensible have been teaching and performing circus skills in schools and at all sorts of venues in Liverpool, the UK and Ireland for over 25 years. We have a huge amount of experience in working with many different groups of all ages and abilities.